FBI director James Comey reportedly has a memo proving that President Trump asked him to end his investigation into former National Security Adviser Michael Flynn's ties to Russia. The New York Times explains that the memo was written by Comey after a one-on-one meeting with Trump in February. 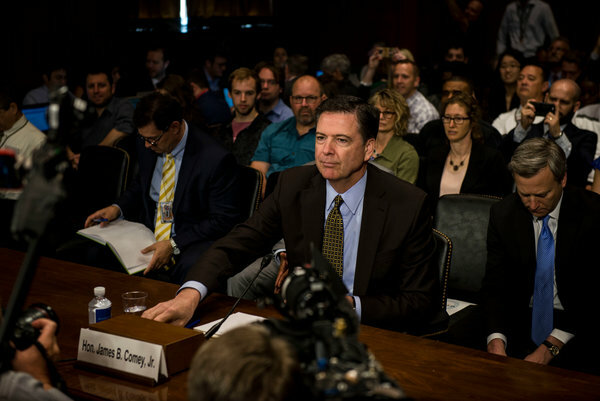 Many are questioning Trump's true motives after he abruptly fired Comey last Tuesday. The more Trump is questioned about why he fired Comey, the more confusing his answers become. CNN notes that Trump told NBC News that he fired Comey over the Russia investigation, while the White House originally said Comey was fired for mishandling the investigation into Hillary Clinton's emails. This memo brings further proof that Trump has tried to influence the federal investigation into Flynn and the Trump administration's relationship with Russia. After hearing about this memo, House Oversight Committee Republican Chairman Jason Chaffetz has requested that the FBI reveal all of its "memoranda, notes, summaries and recordings" of interactions between Trump and Comey. So, why are we just hearing about this memo now? Comey allegedly kept detailed records of his conversations with the president, especially when Trump made attempts to influence the ongoing investigation. This is important because in court, an FBI agent's notes are considered credible evidence, the Times notes. Up until now, Comey chose to share the memo only with "senior FBI officials and close associates" to ensure that it would not affect the investigation. In part of the memo read to a Times reporter by one of Comey's associates, we learn that Trump said to Comey, "I hope you can see your way clear to letting this go, to letting Flynn go... He is a good guy. I hope you can let this go." The White House has denied that anything in the memo is true, claiming the president has never asked Comey to abandon the investigation into Flynn. There is currently no way to prove the conversation happened, other than the detailed notes Comey kept. However, If Trump's tweet about keeping "tapes" of the conversations between the two is true, it may give further evidence of what Trump said in those private moments.